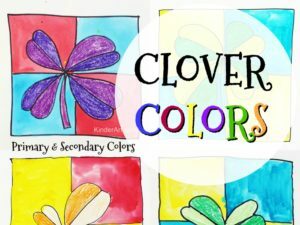 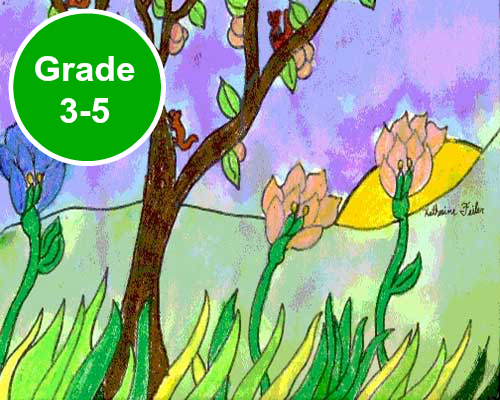 Children will review color mixing as they create drawings and paintings of clover (or shamrocks). 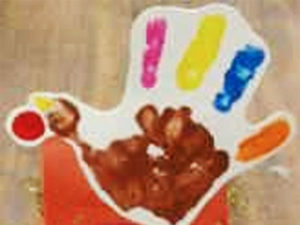 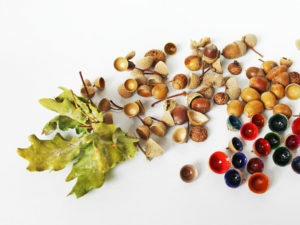 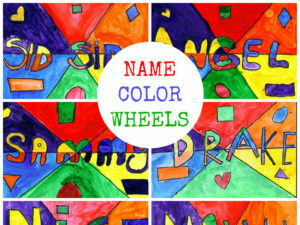 Art teacher Dan shares a unique way for children to create a color wheel, using their own names. 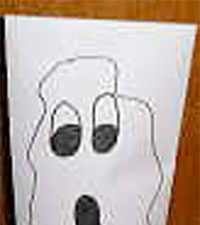 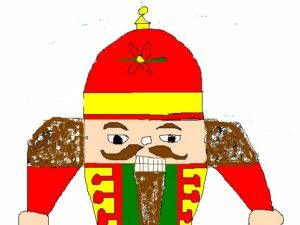 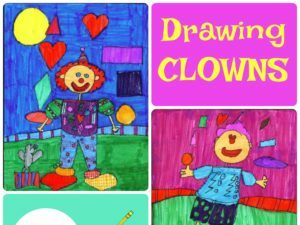 Children will learn how to draw a clown and color in their pictures completely, using markers (or the media of your choice). 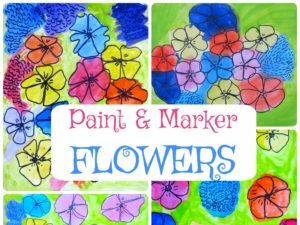 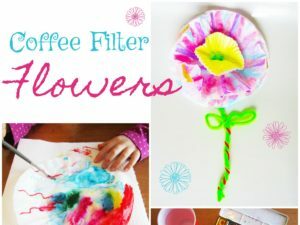 Use coffee filters and watercolours (or washable markers) to make one-of-a-kind flowers. 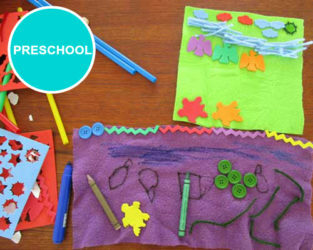 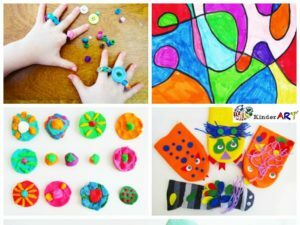 Here are fun crafts to boost creativity at camp or when kids are home from school. 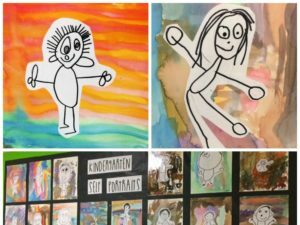 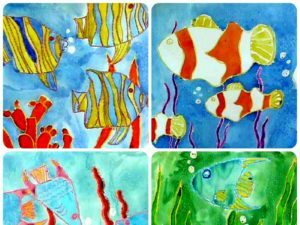 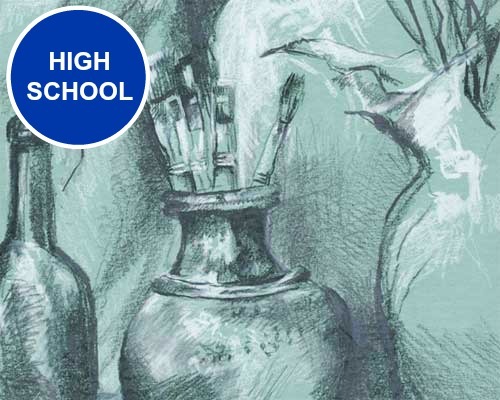 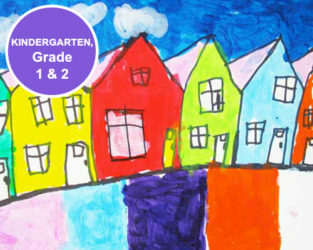 Kindergarten students will learn how to draw self portraits and experiment with watercolour paints for their backgrounds. 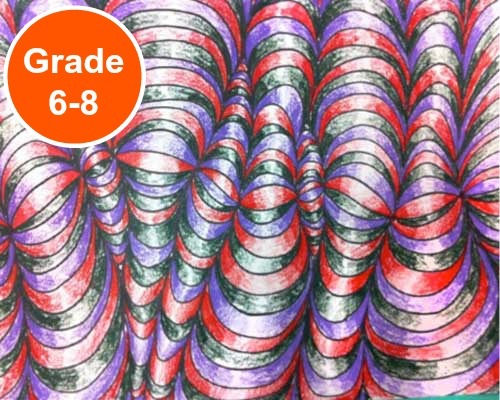 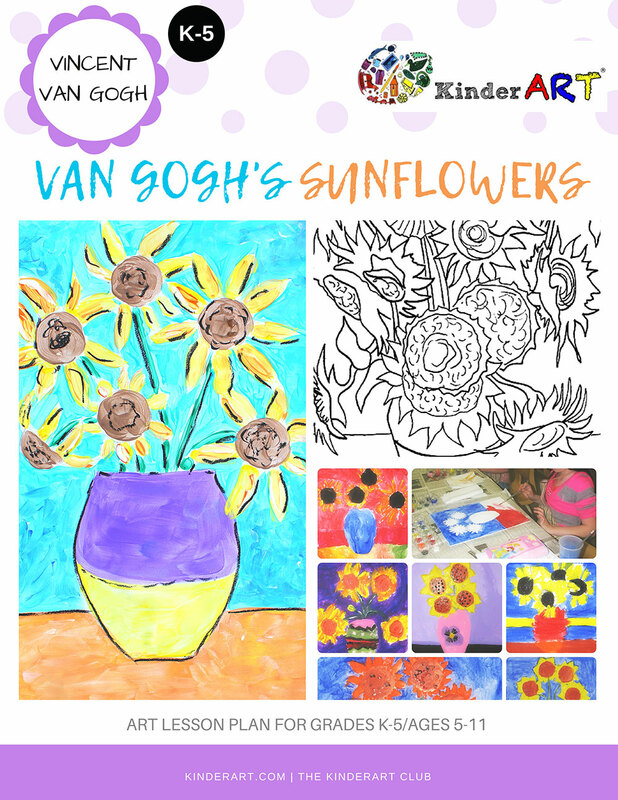 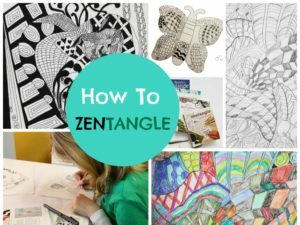 A collaborative art project where the work of many is combined to create one work of art. 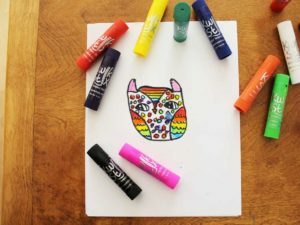 Made from simple items such as ice cream sticks and tempera paint, these adorable monsters are sure to be a hit with your kids. 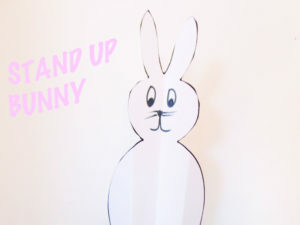 Students will practice cutting skills and build small motor coordination as they create a small bunny sculpture out of paper. 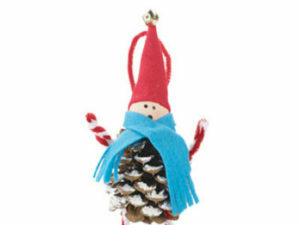 Kids can make a cute Christmas elf using a pinecone and assorted found objects. 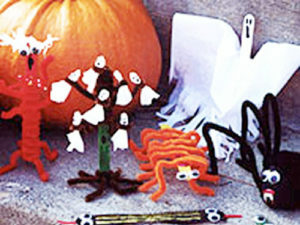 Children can create spider webs using craft sticks. 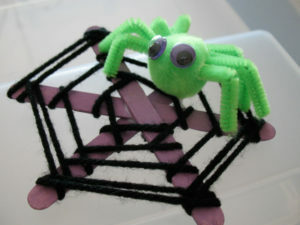 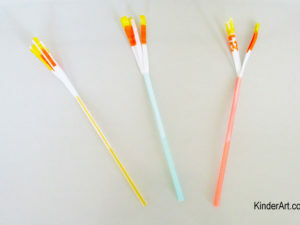 Pom pom spiders can be added as well. 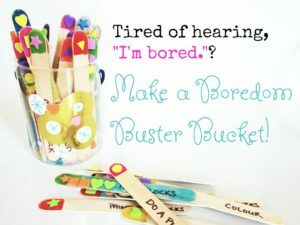 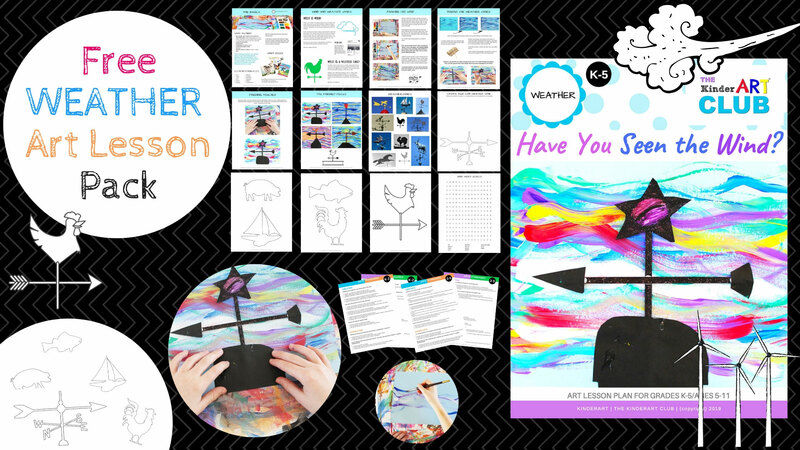 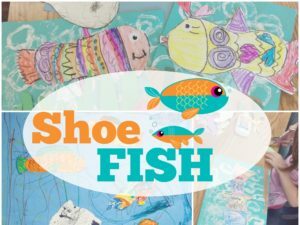 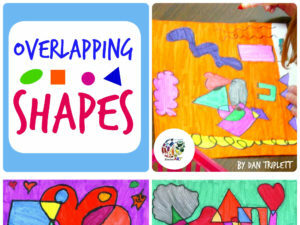 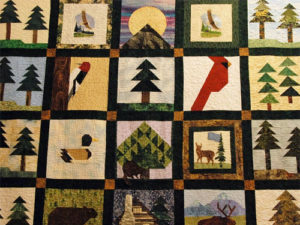 This is a fun project for elementary aged kids. 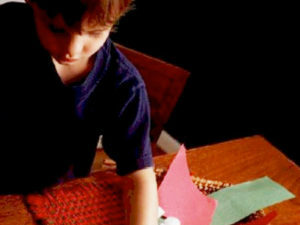 Younger ones can join in the fun, but a grown up will need to do a little gluing for get them first. 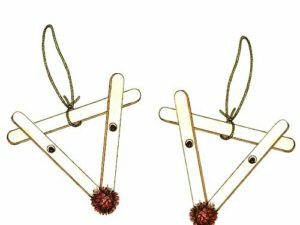 This reindeer Christmas tree ornament is fun (and easy to make) for a variety of ages. 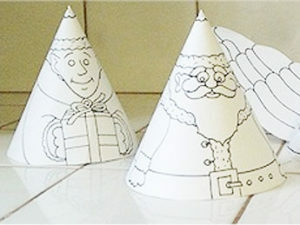 Print out our templates to create a cone Santa, Angel and Elf craft for the holidays.